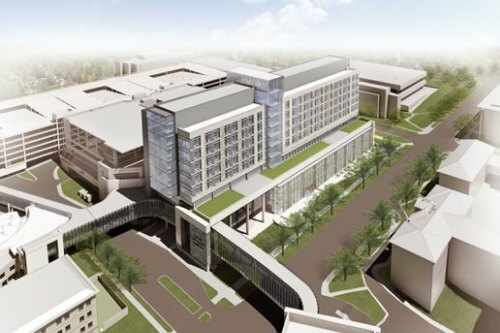 Winship Cancer Institute of Emory University will occupy three floors of the new Emory University Hospital J-wing expansion currently under construction on Clifton Road. The new facility is set to open in 2017. The top three levels will be dedicated to inpatient cancer services. "The unique design of the new hospital expansion will offer the very best patient-centered experience,” says Sagar Lonial, MD, Chief Medical Officer of Winship Cancer Institute. “The space will allow clinical care teams of multiple specialties to interact seamlessly between inpatient and outpatient care at Winship." Assignment of patient care units to specific levels is a crucial step, not just for the new expansion, but also for re-programming of current hospital facilities and units. "The next phase of programming, planning, and phasing will occupy much of 2016," says Bob Bachman, executive director of expansion for the hospital.